LH487 Engine on fire. Where best to land? One of the more interesting apps is FLIGHTRADAR. Late sunday evening one of the twitter accounts I follow, Flight Emergencies, told us that flight LH487 had squawked 7700 meaning ” emergency”. 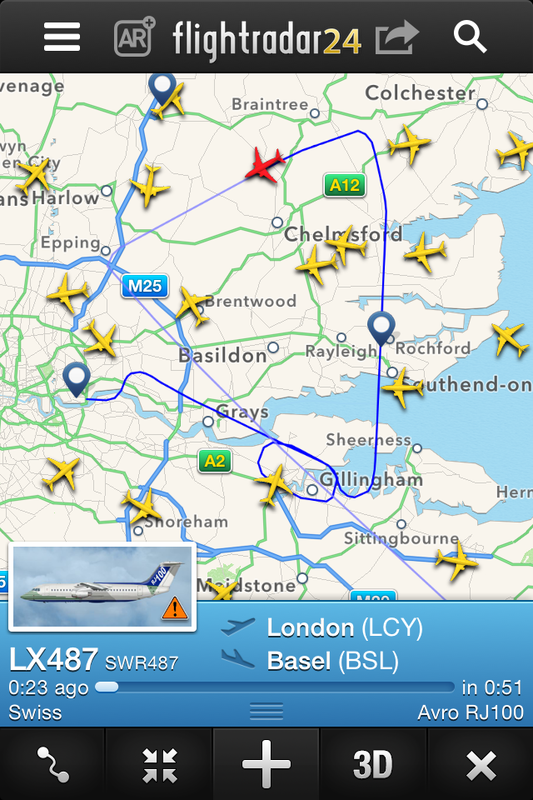 The plane had taken off from London city airport heading to Basle. The usual reason for most emergencies seems to be those of a medical sort. However on this occasion an engine had caught on fire and the plane landed safely. The Guardian reported this story with a few more perhaps not so important facts the next day. 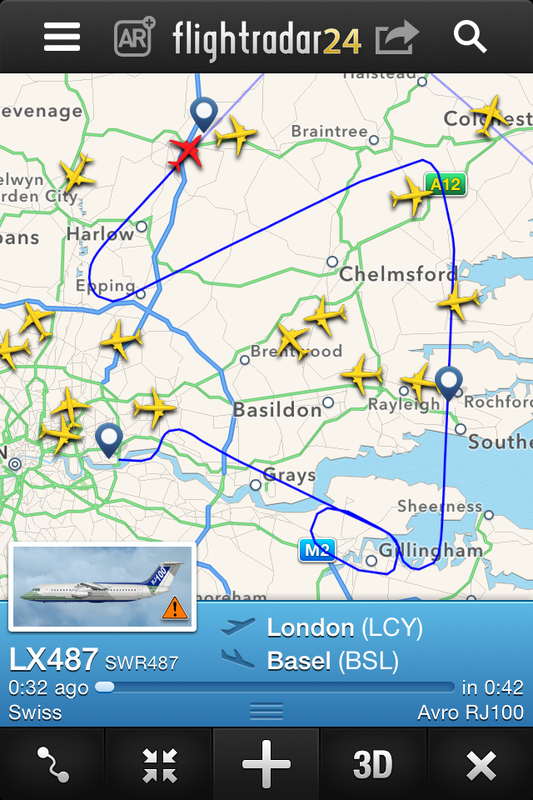 So in the case of LX487 this seems to have happened but seemingly not in a rush. All speculation but a probable explanation.